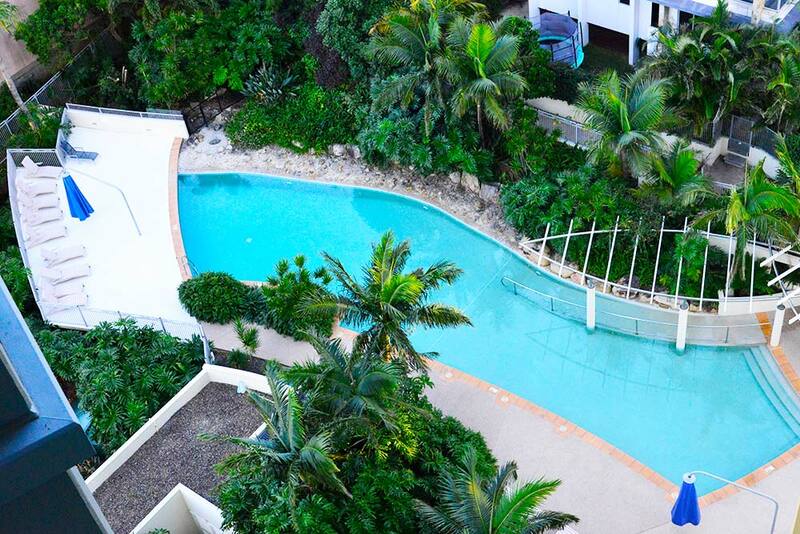 Perfectly positioning on top of Kirra Point, Blue C Coolangatta offers uninterrupted ocean views from Greenmount to the south, and up to Runaway Bay and beyond in the north, making it an ideal base for your next Southern Gold Coast holiday. 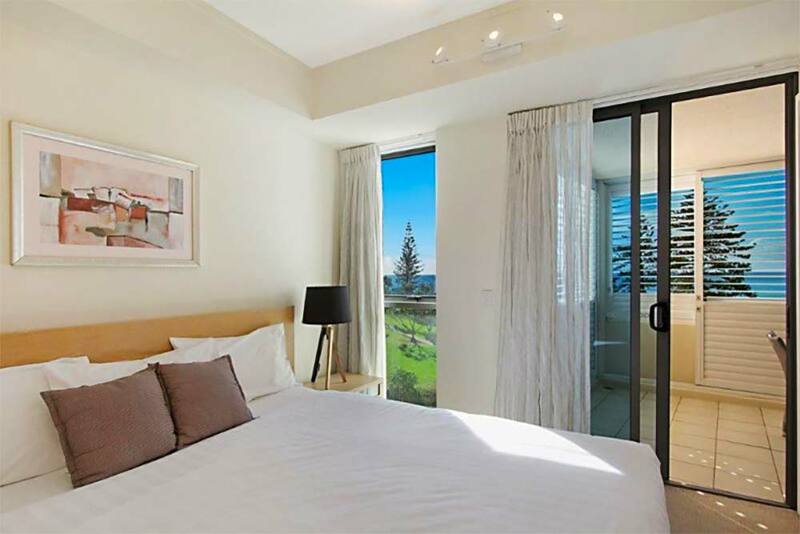 A stand-out feature of Blue C Coolangatta, which offers beautifully-appointed 1, 2 & 3 bedroom apartments, is that nearly all units face out towards world-class Coolangatta beach, providing a great vantage point to check out the surf, the sunrise and even spot passing whales as they travel on their annual migration up and back along the Queensland coast (best time for this is May-November). 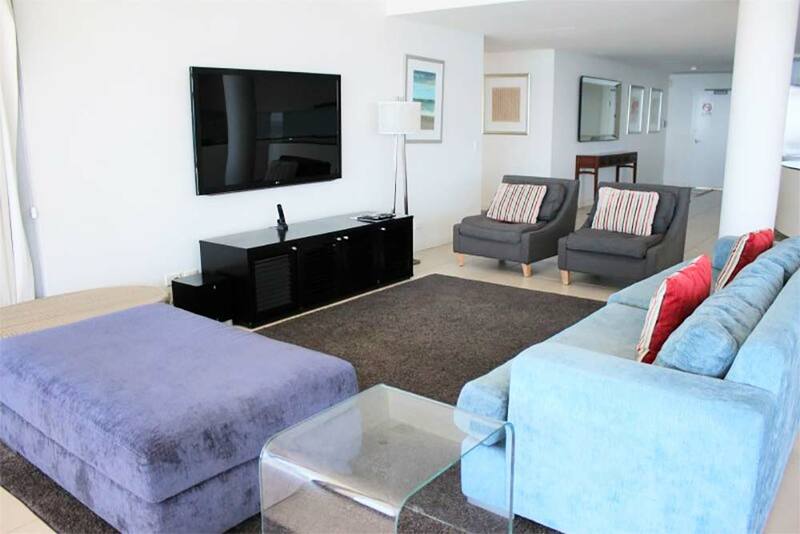 Whether you're booking a romantic soujorn for two, a family holiday or a girl's weekend beach getaway, this affordable-yet-luxury accommodation is a home-away-from-home and even better, it's literally just across the road from the beach. Apartments are modern and spacious, and each is individually styled in contemporary décor. 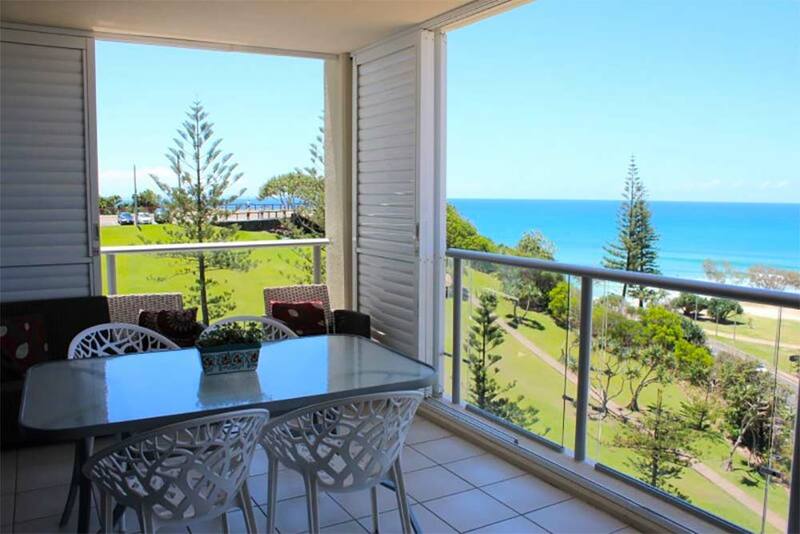 A roomy balcony gives you an outdoor living area that is ideal for entertaining on anytime of the day or night in true al fresco-style, not to mention just perfect for soaking up the majestic ocean views from. As we all appreciate, creature comforts are important when on holidays, and it's nice to know that the main bedrooms feature dreamy king-sized beds; versatile living rooms include a large, flat-screen TV (with cable channels), a DVD & CD player; and the units each have their own laundry facility, are air-conditioned, and offer free WiFi. An often-overlooked but well-planned touch for this designer 15-storey building is that it boasts the convenience of 3 lifts, meaning you never have to wait too long to get to where you want to be. And rest assured, this security-conscience property ensures guests can only reach their own floor, or the floors that host the public access spaces. Speaking of the shared amenities, the popular pool area is well-protected and a great spot to take some time out and relax alongside, and delightfully so with the pool heated to a comfortable 28 degrees all year round. Guests can also make use of the outdoor barbecue facilities adjacent to the pool area and set in a private garden space. If you like to keep your indoor fitness regime in check whilst on holidays, you'll find a large, well-kitted gym, plus a sauna and indoor spa available for your use, complimentary. Being an apartment, a well-equipped kitchen/kitchenette is at your fingertips for self-catering, but it's also nice to know you are only a few minutes' walk to an array of great dining options in and around Coolangatta that suit all tastes and budgets. The reception team are friendly, helpful and a valuable source of ideas and suggestions to help plan your activities during your stay if day-tripping around southern Gold Coast and exploring the diversity of hidden delights that call the region home is on your agenda. The staff even have a number of exclusive discounts they can share with you for local tourism operators so make sure you ask about those. 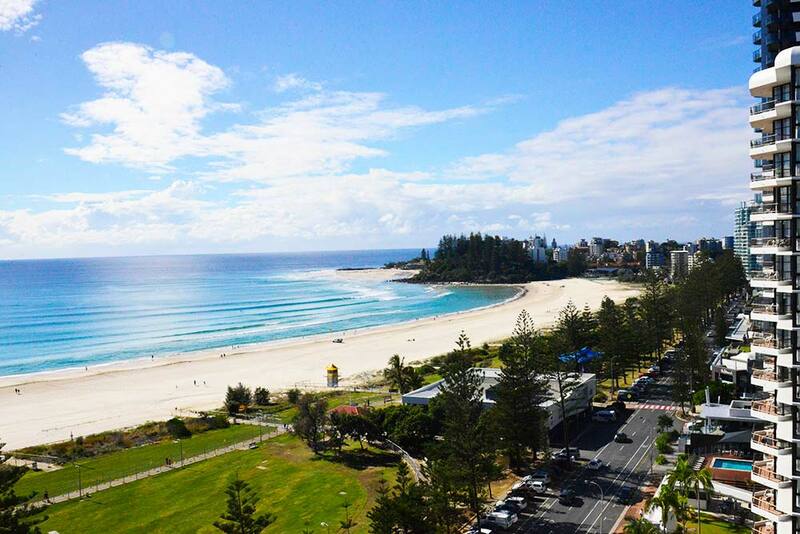 Whether you're a regular to Coolangatta, or it's been a while since your last visit, you'll enjoy discovering both Blue C Coolangatta and re-acquainting yourself with the area. Nice to know - A stunning, spacious 4-bedroom Penthouse Suite is available, complete with it's own plunge pool and unrivalled views. Security undercover carparking (one vehicle per unit) is included as part of your stay.